1. Is your contractor licensed? First things first, is the contractor you are evaluating licensed? 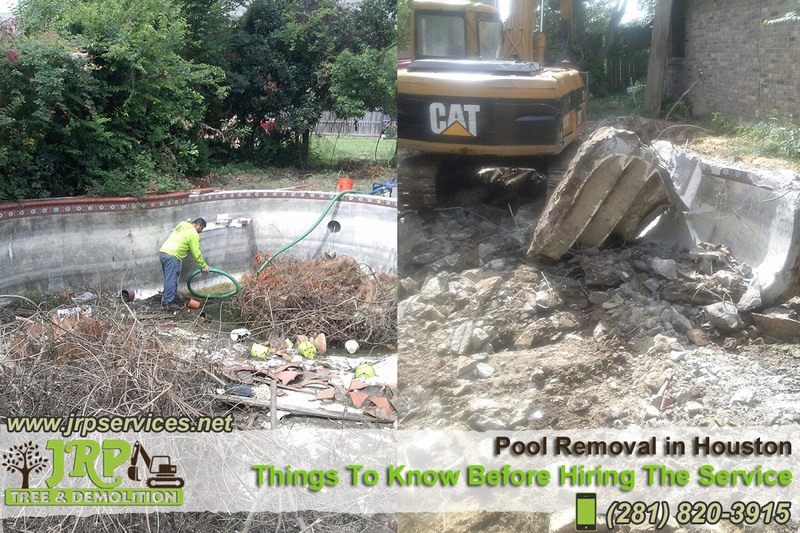 Get the pool removal contractor’s license number and check with your state’s website. You wouldn’t buy most big ticket items(products) without a reference, why are services any different? Ask your pool removal contractor for at least 3 references to check on. Front loading is when a pool removal contractor asks for too much money down even before the work is started. Never pay more than 10% of the total amount. When you let your payments get ahead of the work, you are put in a precarious position. The swimming pool contractor may ask for 50 percent of the total cost, perform only 15 percent of the work, then abandon the job, leaving you with a big hole in the ground and no funds to pay another contractor to finish the work. Don’t let this happen to you, don’t let your payments get ahead of the work. Be it the original contract or a change in contract, it must be in writing. Ask your pool removal contractor for a notice regarding the state lien laws. Specify in your written contract that your swimming pool contractor must obtain lien releases from each of the subcontractors and materials suppliers. A lien release is a document which, when signed by a subcontractor, laborer or material supplier after being paid for work or materials, waives any future right to enforce a mechanics’ lien against your property. Don’t do any work without a permit. You maybe ok now without a permit, but when it comes time to sell the house, the new owner will want to see the permit. Decide on who pays and gets the permit, will it be the pool owner or the pool removal contractor? Put it in writing in the contract. Except for the initial cash down, pay only for the work that is done. If payment is in phases, get receipt after every payment. Don’t pay cash, give it as a check for tracking purposes. Is there a cancellation penalty? Spell it out in the contract. What if after signing the contract, you change your mind and want to go ahead with another pool removal contractor even before the work has started? How many days do you have to rescind from the contract. Again, put this in writing in the contract. Now that you know what to expect when hiring a contractor, draft the right contract, sign it and let the expert pool demolishers do the work, while you sit back and relax.